50000mAh Portable Power Bank at Rs.1950 Only From Ebay :- Recently we share loot deals and Tricks like Strontium 16GB Class 10 Memory Card at just Rs.236 Only and Free Calling Trick, but now We find amazing offer for you from ebay in this offer you will get 50000mAh portable power bank 2USB Rechargeable External Charger Battery 4 Phones in Just Rs.1950 only with free shipping. 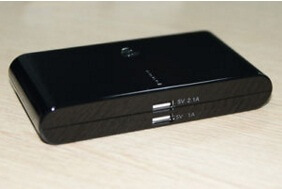 Yes you heard right 50000mAh power-bank, Ebay is one of the best and worldwide shopping website and now shopping from USA deals going on ebay. so don’t miss this loot offer and grab it before stocks goes out. Now click on Buy it Now. Login/Sign up for ebay account. Now click on Proceed to pay and place order. Make payment via suitable payment method and complete your payment process.